This particular bow is not attributed to a specific maker in the Hill firm. 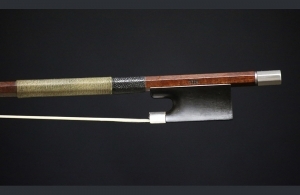 The bow is half mounted with silver and ebony onto an octagonal stick of red-brown pernambuco. 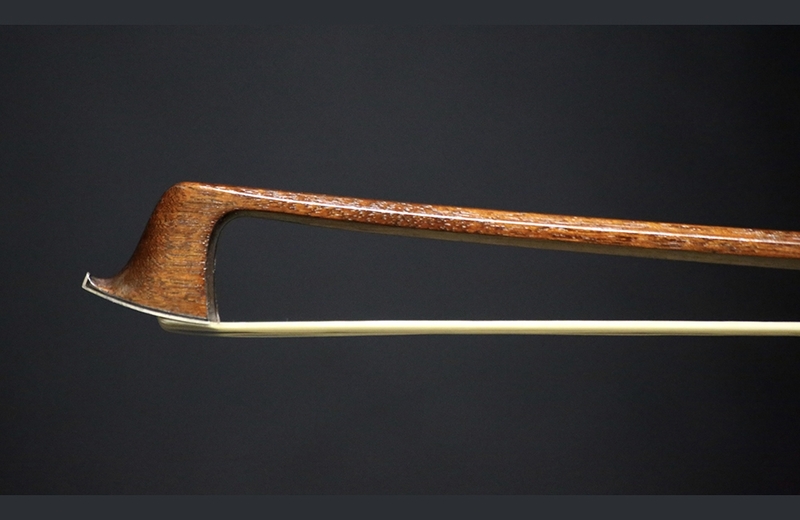 The bow is in near mint condition and performs an excellent staccato with excellent clarity. Weight: 58 grams.